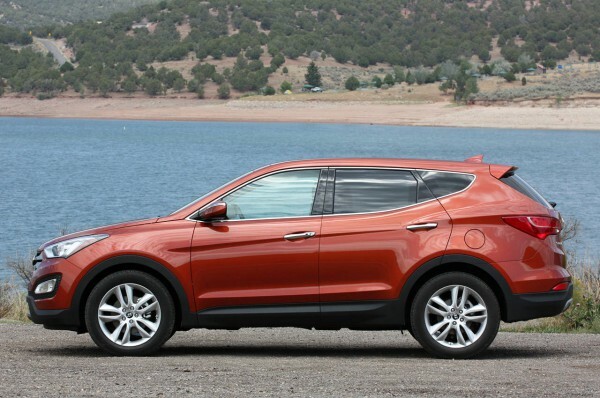 6 Significant Market Advantages for the 2013 Hyundai Santa Fe! - Muscle Cars Zone! 6 Significant Market Advantages for the 2013 Hyundai Santa Fe! The New Santa Fe puts a brand new energy in to its segment! 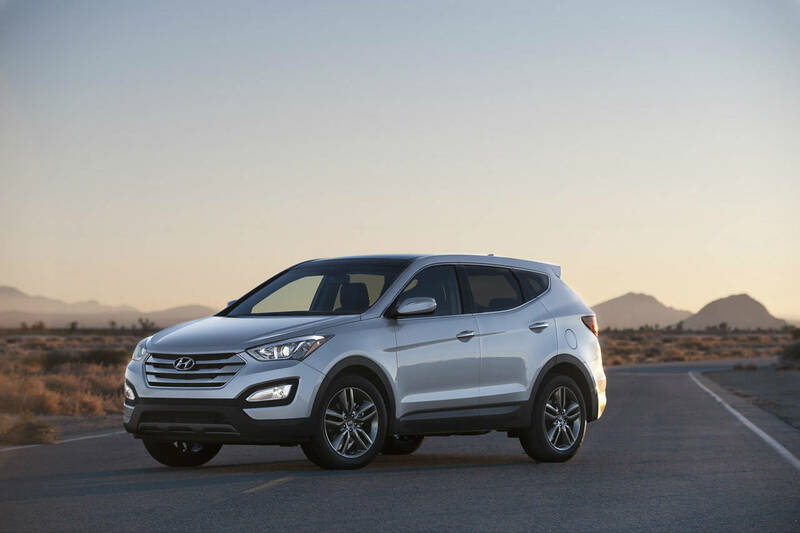 The 2013 Hyundai Santa Fe is spacious, stylish and comfortable, with great performance and luxury, with very high fuel efficiency and advanced at every level. This SUV puts a brand new energy in to its segment. This modern SUV is positioned at the D -- SUV segment in order to meet the customers` demands for more luxury and spacious SUV with competitive price and enhanced marketability. Target customers for this vehicle are middle class drivers in the early 40s, with families. The 2013 Santa Fe is Completely New Concept positioned in the sleek and progressive market, with high utilization capability, stylish interior and versatile layout! 1. 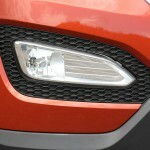 Hyundai Grand Santa Fe – New Urban Looking Design! Santa Fe has robust and strong presence with the combination of bold and voluminous surface with delicate and balanced lines. Its harmonious line can be noticed from the sharp front bumper, high-tech head lamps, famous Hyundai hexagonal radiator grille, premium dynamic lines, stylish skid plate, a brand new side character line, new roof racks and sporty 17-inch, 18-inch and 19-inch alloy wheels. The aerodynamic profile is completed with smooth belt line and LED turn-signal lamps. Harmonious and sporty three-dimensional rear design gives the new image to the new Santa Fe as a differentiated D-segment SUV. 2. 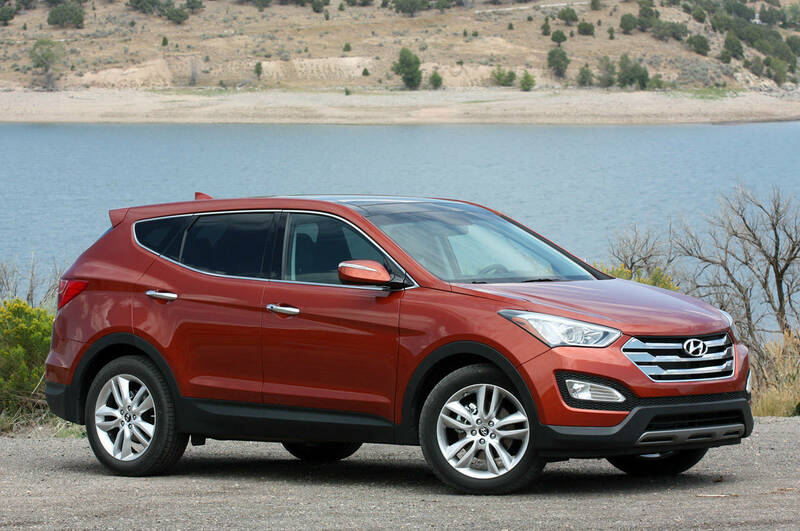 Hyundai Grand Santa Fe -- Great Performance and Efficient Engines! 1. 3.0-liter Lambda II GDI V6 -- 264 horse power on 6,400 rpm, silent, fuel efficient, Eco-friendly, with high performance and with high pressure direct injection. 2. 3.3-liter Lambda II MPI V6 -- 270 horse power on 6,400 rpm with variable oil pump and friction reducing coating. 3. 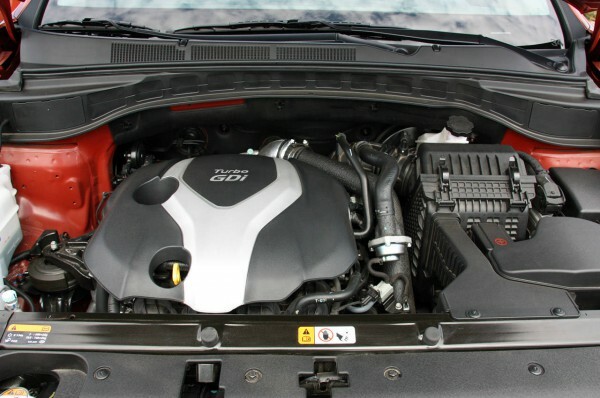 2.4-liter Theta II GDI-192 horse power on 6,300 rpm engine with three-stage variable intake system. 4. 2.4-liter Theta II MPI-176 horse power on 6,000 rpm engine with enhanced variable intake system and better performance with mechanical advancements. 5. 2.2-liter R-VGT CRDi -- 264 horse power on 3,800, four-cylinder diesel from the third generation of common rail engines, with new highly efficient turbo charger, low pressure EGR system and exhaust filtration devices. 6. 2.0-liter R-VGT CRDi -- 150 horse power on 4,000, four-cylinder diesel Euro 6 with 1,600 bar common rail system, high efficient electronic turbo charger and low pressure EGR system. 3. 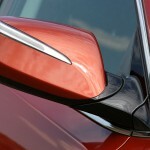 Hyundai Santa Fe – The Most Advanced Technologies and the Best in Class Aerodynamics! 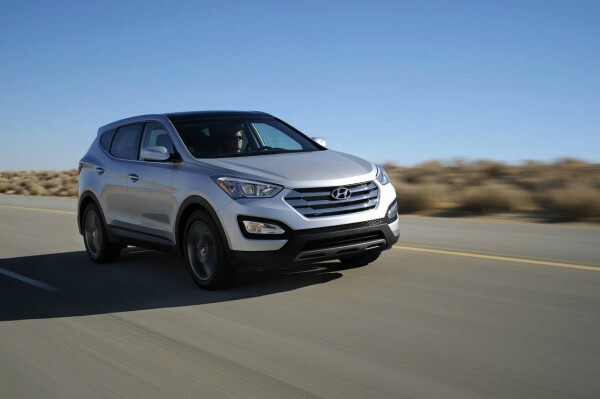 Santa Fe has comfortable damping, an ideal chassis design and optimal handling. 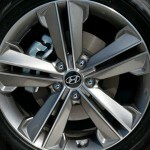 These premium features are showing the Hyundai`s innovative direction. With 0.34 coefficient of drag Hyundai Santa Fe has the best in class aerodynamics. This Hyundai`s SUV is refined, practical, very strong looking but at the same time emotional and with magnificent features: CD MP3 with AUX, USB & iPOD port, Bluetooth connectivity, Virtual Sound Audio System, Advanced IT GPS Smart Navigation, advanced cluster ionizer, front windshield auto defog system, rear seats heater and air conditioner and EPB -- electronic parking brake. It provides optimal operating environment with SMART KEY&Button Start, cooling in the glove box , SPAS (smart parking assist system), 220V-inverter, ECM and Compass, Integrated memory seat, AFLS (adaptive front light system), RPAS (rear parking assist system), cruise control and rain sensor. 4. 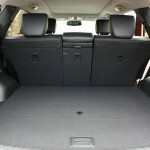 Hyundai Santa Fe -- Practical, Spacious, Comfort and Luxury Interior! The state of art advanced and innovative interior features are surpassing this D-SUV`s comfort level. Premium materials, stylish design and optimal seat position adapting are making this SUV more comfortable and convenient. 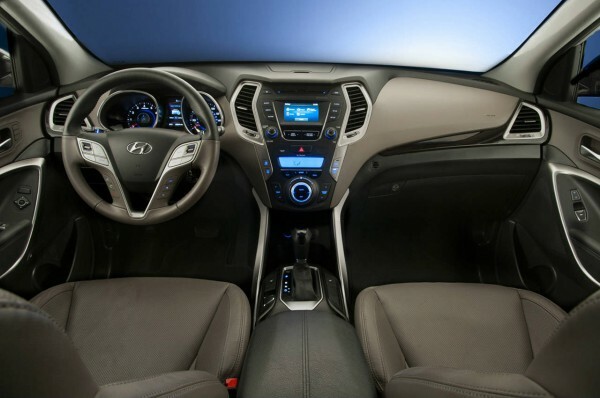 The new Santa Fe interior details are covered with 3-dimensional beauty and stylish lines. The perfect blend of convenience features can be seen at 2-tone interior color, color display connected with rear-view camera, new LCD supervision cluster, chromed interior trim details and heated rear side window sunshades, wide panorama sunroof, advanced lighting system, driver & passenger power seat, 7-seat variation option and new wrap door cover range. 5. Hyundai Santa Fe -- New Intelligent Safety Solutions! 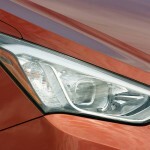 According to EURO NCAP the 2013 Hyundai Santa Fe is the safest car in its class for 2012. The new Santa Fe reached the best results in all test categories during the testing and become one of the safest cars ever tested by Euro NCAP, as the international independent vehicle assessment organization. Hyundai`s D-SUV won in the Large Off-Road 4×4 category and it was above the Mercedes-Benz M-Class and Range Rover which are vehicles from the segment above. Hyundai Santa Fe became the 1st Hyundai that is safer than these 2 brands. As well as the additional passive safety components: de-powered driver`s and passenger`s with side airbags, air curtains and knee airbag, emergency-fastening device, monitoring system for tire pressure, improvement of vehicle deformation and impact energy distribution. 6. 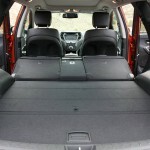 Hyundai Santa Fe -- Ride and Handling! The 2013 Santa Fe is designed for sophisticated roads; it is build for stability with great implementation of damping comfort and is joined by the optimal chassis design. This premium SUV has ride and handling like a mid-size sedan, because it is equipped with an electric power steering, flex-steer, chassis strut towers, front Macpherson strut type and rear Multi-link Type. ATCC (advanced traction cornering control) works while accelerating and cornering at frequent intervals. This system distributes 4WD driving force and brakes power and VDC assesses torque vectoring information and controls under-steering. 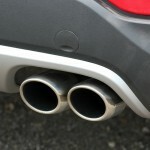 This is preventing the driver from overcompensating for improved agility and braking control. Read my next article: 6 Driver`s Mistakes that Catches Attention of the Traffic Police? 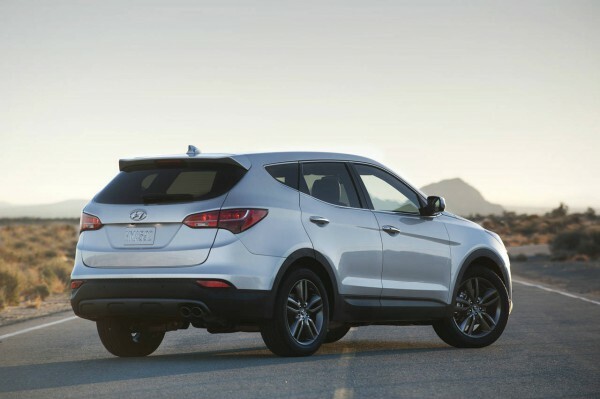 Read my previous article: All-Time RECORD for the First Quarter Sales of Hyundai Motor America!